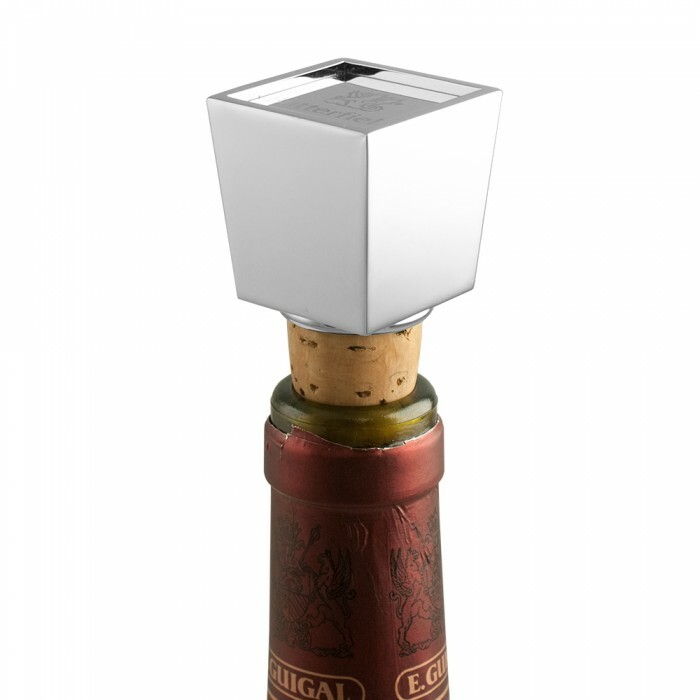 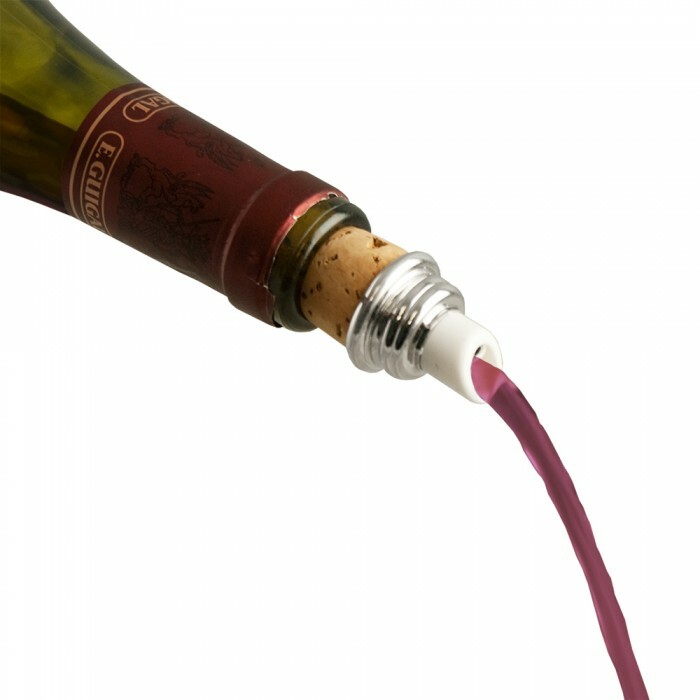 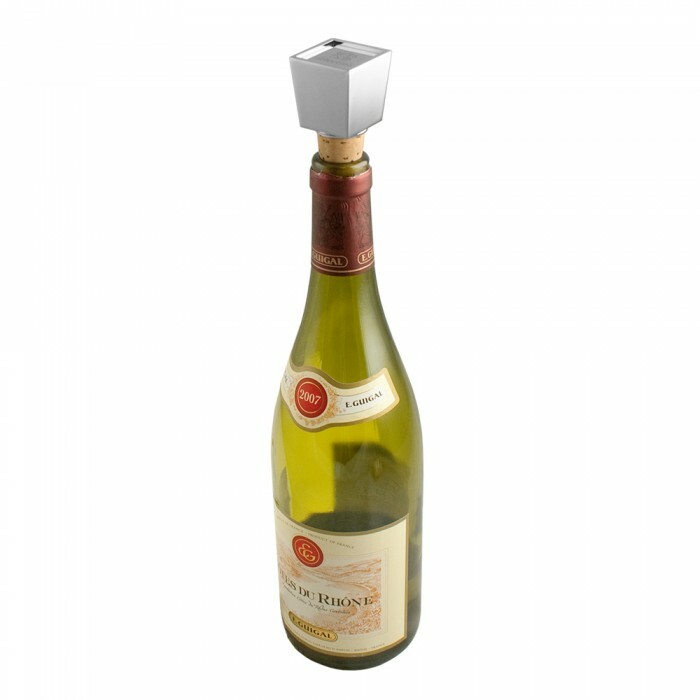 Cube design 2 function wine stopper & pourer, a perfect gift for the wine Connoisseur. Price includes a 1 location Laser Engraving. 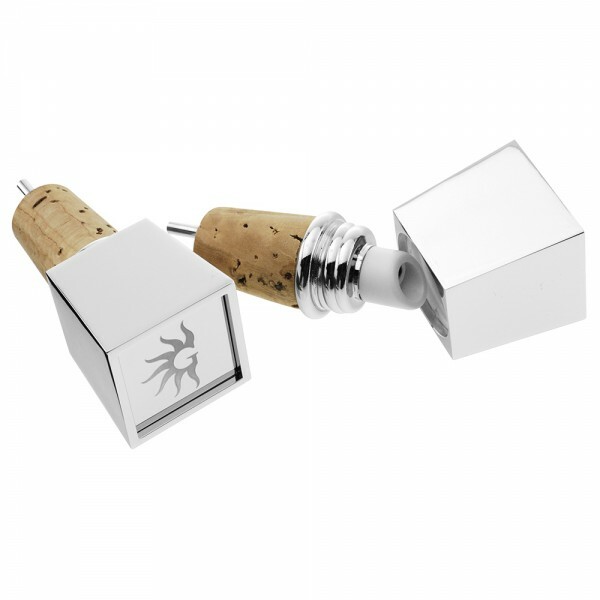 Add $1.80 (G) for a Metal Plate insert with Laser Engraving. 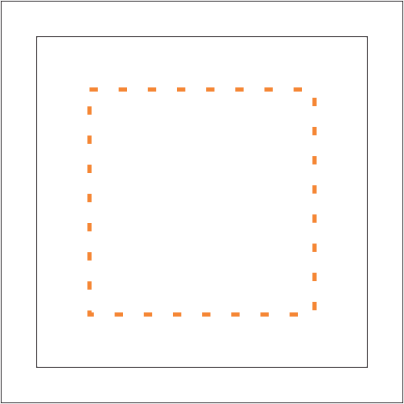 4 Color Process print on Metal Plate insert at $1.25(G). Setup $56.25(G). 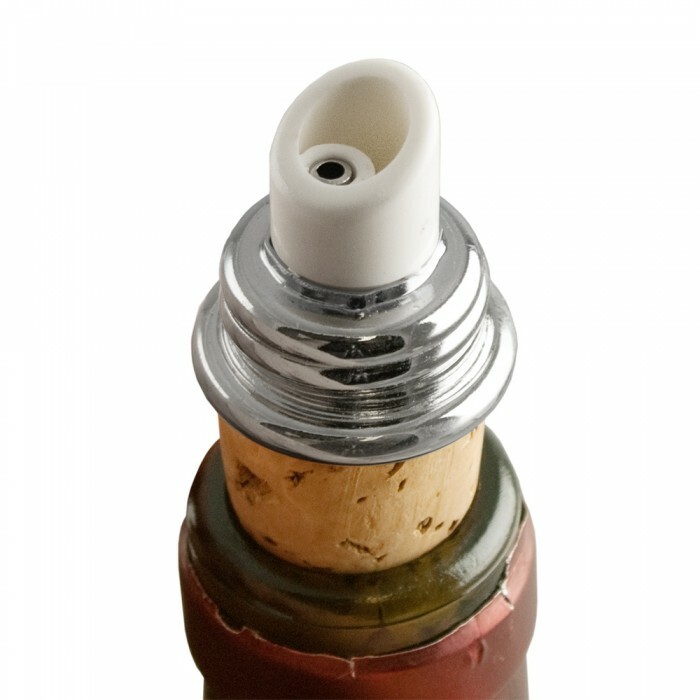 Size: 1 5/16L" x 1 5/16W" x 3H"
Imprint Size: 1W" x 1H"